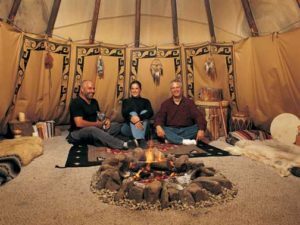 One major challenge when living in your tipi year-round is how to heat it safely and effectively. We have gathered a few recommendations of tested heating methods that have worked well for those living in their tipis. 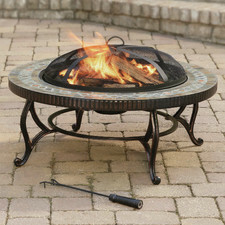 The traditional fire pit provides an effective heat source while maintaining an authentic experience. This type of fire pit is typically constructed from stones of varying sizes to create a tried-and-true method of heating your tipi. 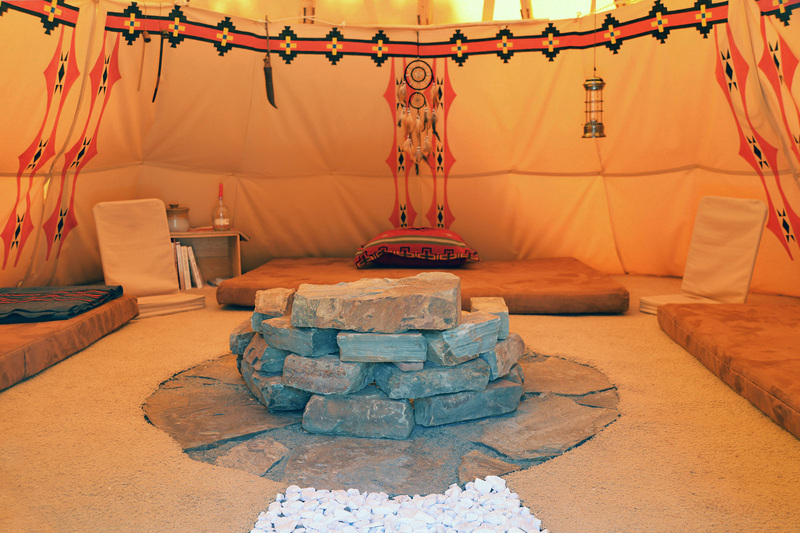 A variation of the traditional fire pit, the stone fire pit can easily be constructed taller than a normal fire pit for improved safety and less risk for spark damage to your tipi floor or interior. 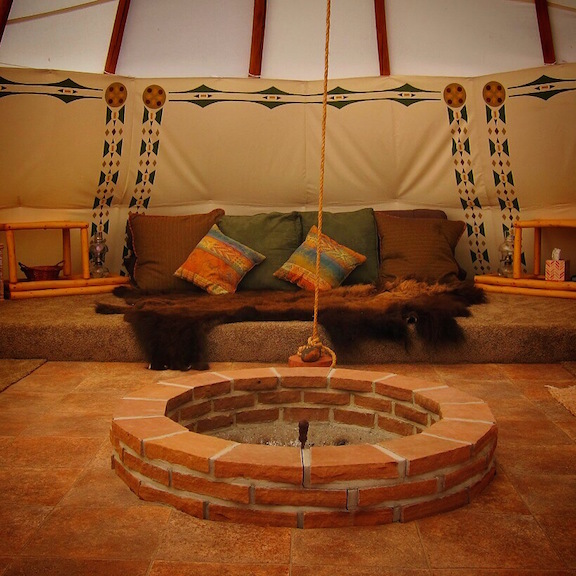 The brick fire pit is an excellent idea for a cleanly-designed tipi interior. This beautifully constructed brick fire pit is coupled with a tiled floor for extra protection from spark or hot coal damage. 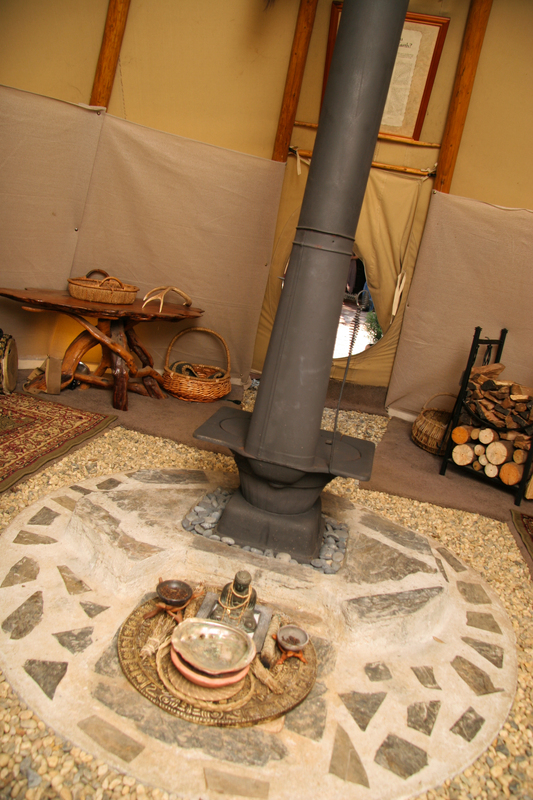 The wood stove is by far the safest and most efficient method of heating your tipi. Wood stoves provide radiant heat for extended periods of time while requiring less maintenance than a fire pit and without the risk of sparks or flames jeopardizing the interior of your tipi. We are currently working with individuals who have wood stoves in their tipis to create a tutorial on the best method of extending the wood stove chimney through the tipi fabric. Please check back soon for information regarding how to install a wood stove in your tipi. 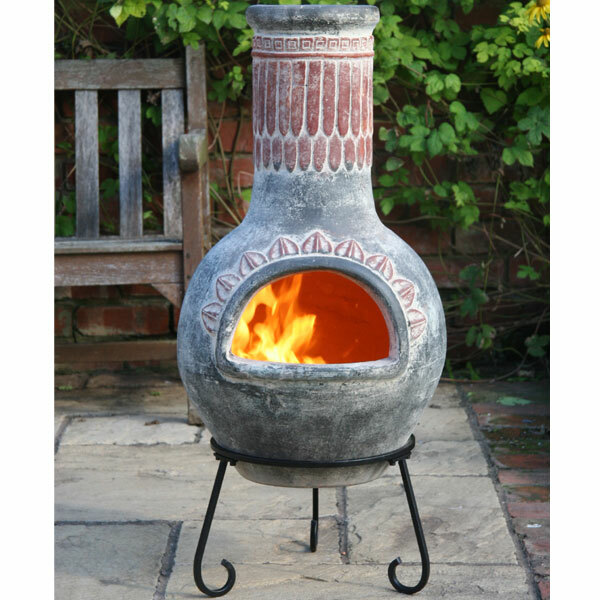 The Chiminea is an excellent heating option that is similar to the wood stove in safety and efficiency but without the need to extend a chimney through the tipi fabric. The patio style fire pit is a good option for those who want an elevated heat source with the added safety of a metal grate to reduce the risk of flying sparks. 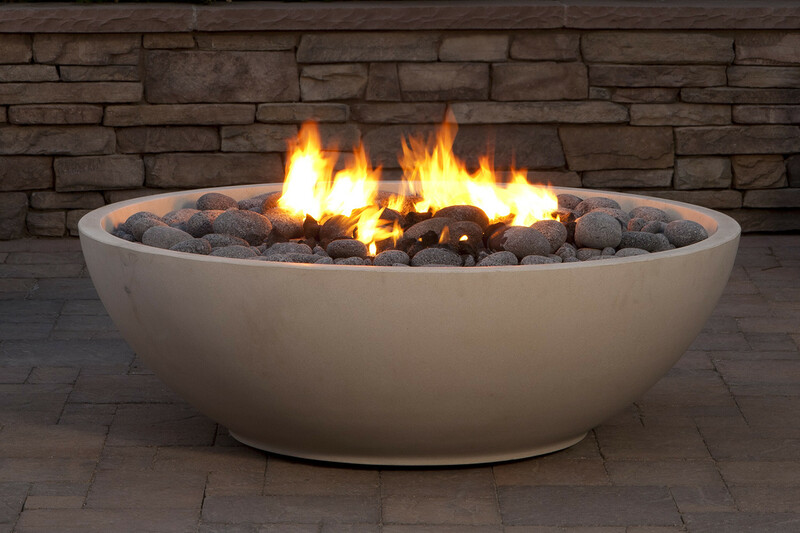 The fire bowl is a good option for those who favor ambiance over heat output. While you will still be able use the fire bowl as a heat source, the size of the fire that you can create will be limited. The Kni-co woodstove is an extremely versatile and lightweight stove that is perfect for those who plan to move their tipi often. 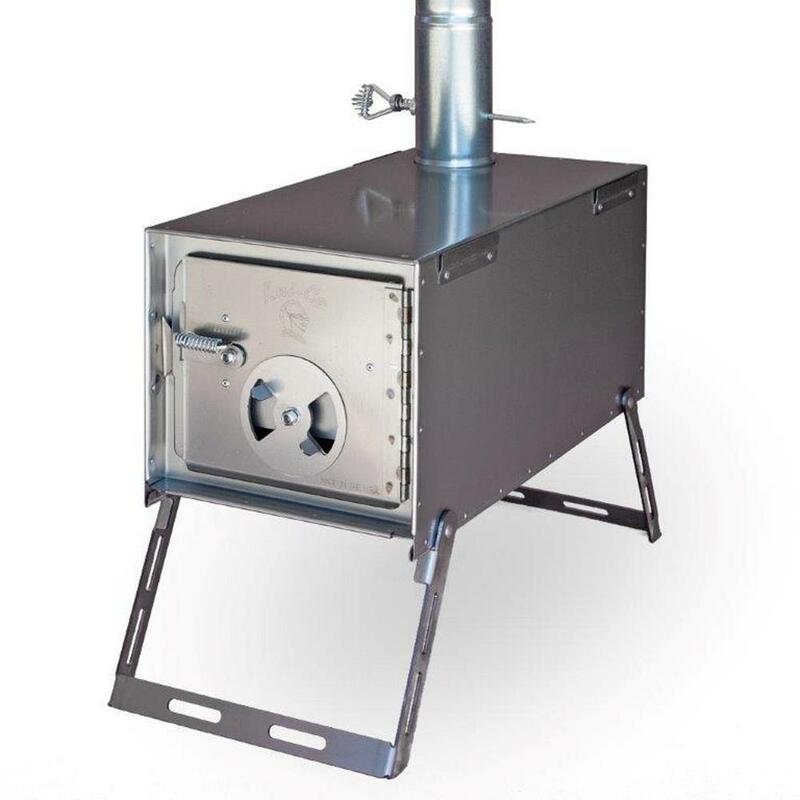 Kni-co offers a number of different stoves to choose from depending on your intended use and the size of your tipi. A tip from one of our customers! James, who lives in his tipi in Alaska over the summer, has a 20 gallon propane tank to use his ‘Big Buddy’ Propane heater from www.mrheater.com . The 20 gallon will last a month, if he runs it every night. He also has an open fire in a fire bowl, but once the fire goes out at night, Big Buddy keeps it cozy through the night. Together with his electric blanket, this can even be a winter set-up. James also remembers a very clever cooling trick for hot climates. In Florida on the beach, they would light a small fire in their tipi – without a liner – and the draft created a cooling effect. It felt 10-20 degrees cooler inside the tipi compared to outside, even during the day. If you’ve had any experiences with these and what you’ve found that works best please feel free to leave your comments!